Artemisin in combination with fansidar is the best treatment for resistant strains of malaria such as the falciparum form prevalent in Nigeria. The trouble is, many of the artemisin drugs found in Nigeria are fake. So here is a revolutionary idea (its not new, but its worth re-stating): why not grow the stuff here and produce it locally? It could be taken in either herb form (tea, tincture etc) or fabricated into pill form. Apparently, the best place to grow it would be Jos (for climactic similarity with where it is grown in China and Vietnam). This would be something the Ministry of Health and perhaps a couple of donors could fund. It would create jobs for agricultural workers, and would dramatically improve the effectiveness of malaria treatment in country. So, is there anyone out there who could help put this into action? Yes, you can go ahead and implement your idea. it's a free market! Indeed this is a nice idea, unfortunately, rather than finding people who would say let us collaborate in getting it done, you would probably get a comment like the first one. Once you get things going then the maket gets crowded out, in a place where you cannot effectively patent any technologies or properly license your product, the so-called free market does you out. Only recently, I wrote about Prickly Ash Bark (Orin ata) which helps deal with sickle-cell anaemia. I have seen so many papers on how useful the medicinal properties are by professors many in Nigeria, but no one has taken the next step of producing a formula. Orin ata as you may know is in abundance in the country and can be cultivated easily for the humanitarian work of dealing with a scourge prevalent in West African populations. Research on malaria has not attracted big-Pharma because it mainly affects people who do not make up the bulk of their profit centre. Things like this might best be handled in collaboration with some NGO or UN-sponsored activity where it is linked to some fair-trade scheme. However, having planted the seed of inspiration hopefully there would be better reception of those ideas and action towards getting it done rather than fence-sitters. Good thinking; Kenya and Tanzania are growing their own Artemisia already. Herbal teas are not so great as a standardised formulation is always going to be more dependable especially with a lipophilic chemical like Artemesin. Your next decission will be whether to formulate the drug as a combined tablet with fansidar, which means possible formulation complications (are there chemical interactions between the two etc.) 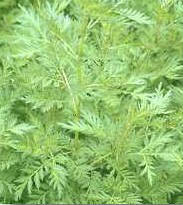 or wether to sell an artemisin-only preparation. This would increase flexibility (you could combine with a range of antimalarials) and you would not step on the toes of established anti-malarial manufacturers. The drawback here is you put tailoring the dose more into the hands of the patient, which is never a good idea.